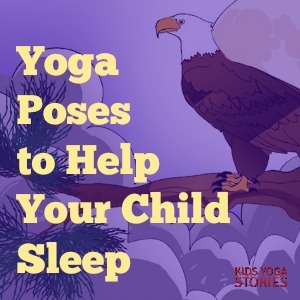 Bedtime yoga is a miracle in our household! Our spirited and active toddler doesn’t get lethargic when she’s tired—she gets wired. Even with our nightly ritual of the 4 B’s (Bath, Brush teeth, Books, and Bed), sometimes a warm bath doesn’t calm her down from her highly stimulated day. On the days when she needs an extra dose of calming potion, we read Good Night, Animal World and use movement to release her extra energy. It works great. 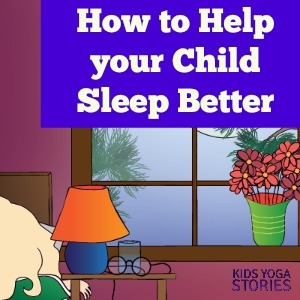 Afterward, my daughter is better able to listen to books and will willingly hop into bed. 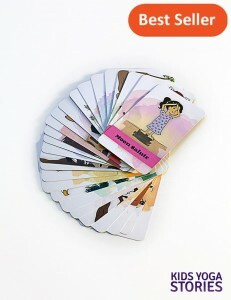 So, imagine my excitement when we received a proof copy of the Yoga Kids Bedtime Yoga Cards in the mail. 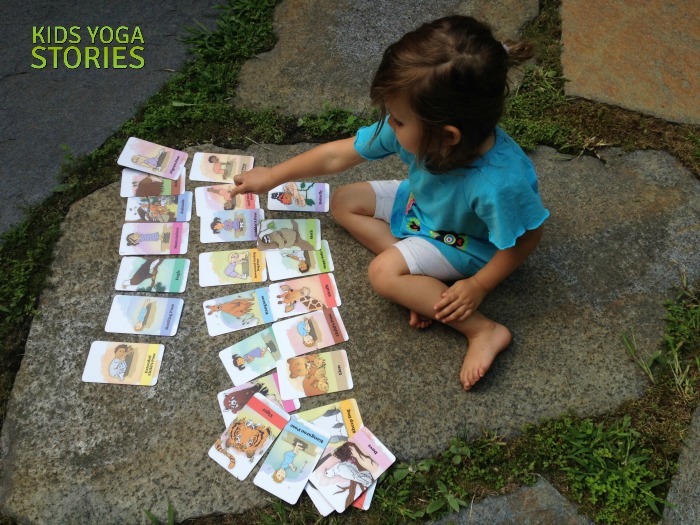 My daughter grabbed the cards and instantly started sorting and matching the yoga poses and animals. She was completely engaged on her own, which is rare! 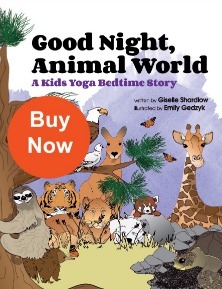 She seemed excited that she recognized the yoga poses and animals from the bedtime yoga book. 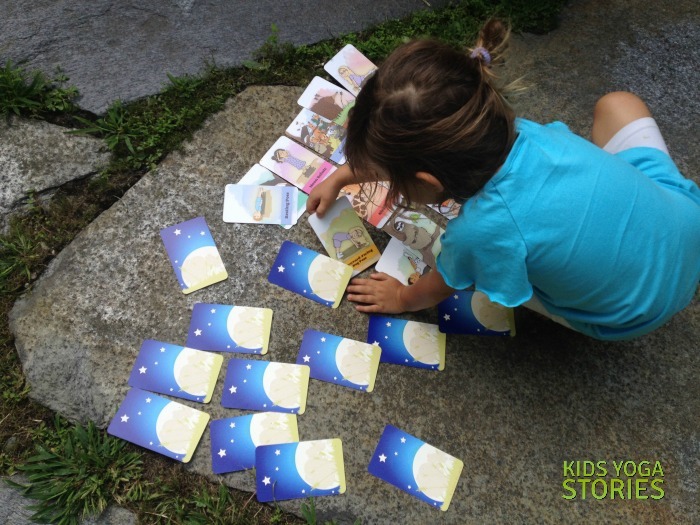 Later, we sorted the cards in the same order as they appear in the book and practiced the yoga sequence together before bedtime. Today, I’d like to officially introduce you to our first yoga card deck! 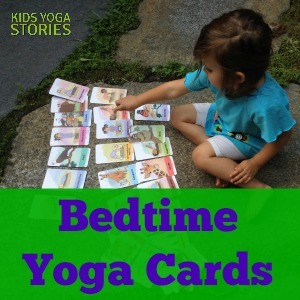 A 26-Pack of Bedtime Yoga Cards for only $13.95. Use the color band on each pair to match the animal and corresponding yoga pose. Then you can practice the poses associated with each animal. Talk about your favorite pairs and which ones are easiest to remember. 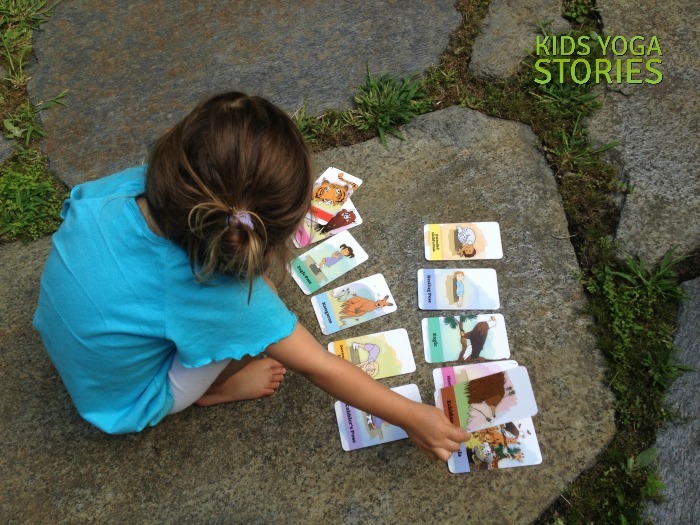 Arrange the cards to match the exact sequence of poses in Good Night, Animal World. 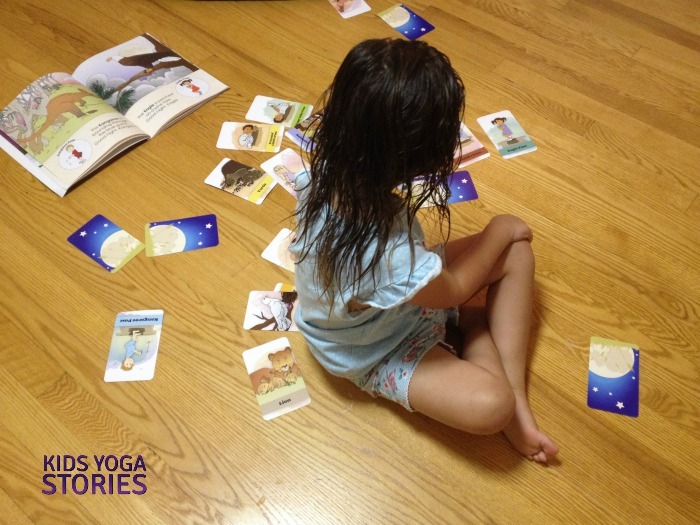 Then practice the bedtime yoga sequence by following along the cards laid out on the floor. Place all the yoga cards upside down and take turns flipping up two cards at a time. If the player gets a yoga pose matched with its animal, then that player keeps the pair. The game continues until all pairs have been matched up. Place the pack of pose-only cards facedown together in a pile. One player flips over the top card, and everyone has to “strike a pose.” You could do this with yoga pose-only cards, animals-only cards, or the whole pack. 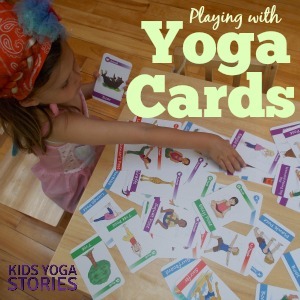 We hope you enjoy playing with the yoga card deck as much as we do! 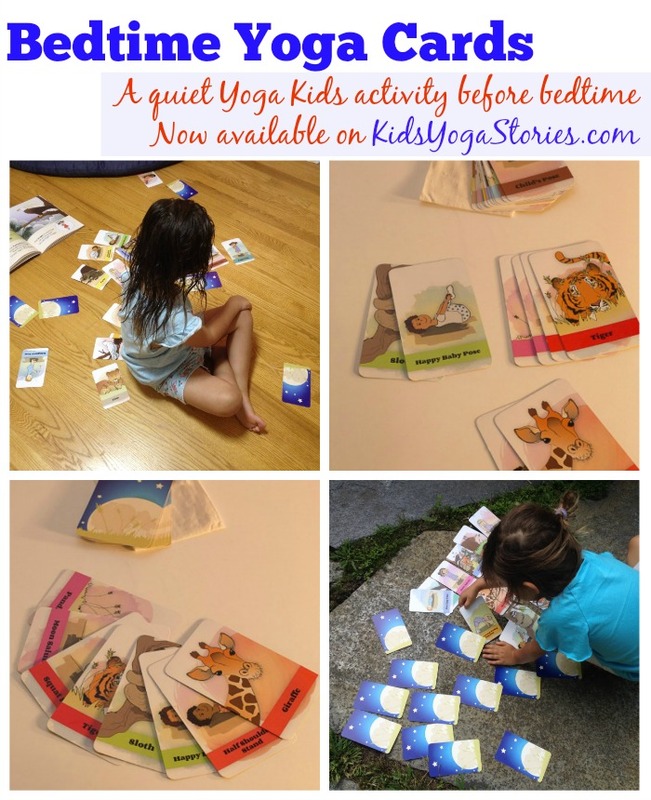 What other ways could you use the bedtime yoga card deck? We would love to hear your ideas below!